If you understand the basics of making wireless network connections, joining a wireless network should be easy. However, special considerations apply depending on the type of device you're using. To join wireless networks on Windows, start by navigating to the Windows Network and Sharing Center. A small network icon (displaying a row of five white bars) on the right-hand side of the Windows taskbar can be used to open this window, or it can be accessed from Windows Control Panel. Windows supports setting up network profiles that enable the operating system to remember the necessary network configuration parameters so that the network can automatically be detected and re-joined in the future if desired. PCs can fail to join networks if their wireless drivers are out of date. Check for driver upgrades in the Microsoft Windows Update utility. Driver updates can also be installed through Windows Device Manager. Similar to Windows, the Mac's wireless network configuration window can be launched from two places, either the Network icon on the System Preference page or the AirPort network icon (showing four curved bars) on the main menu bar. The Mac operating system (OSX) remembers recently joined networks and by default automatically tries connecting to them. OSX allows users to control the order in which these connection attempts are made. To prevent Macs from automatically joining undesirable networks, set the "Ask Before Joining an Open Network" option in Network Preferences. Mac network driver updates can be installed through Apple Software Update. Almost all smartphones and tablets incorporate both built-in cellular network capability and local-area wireless technologies like Wi-Fi and/or Bluetooth. These devices automatically connect to the cell service when switched on. They can also be configured to join and use Wi-Fi networks simultaneously, using Wi-Fi when available as the preferred option for data transfer, and automatically falling back to using the cellular link if necessary. Apple phones and tablets control wireless connections through the Settings app. Selecting the Wi-Fi section of the Settings window triggers the device to scan for nearby networks and display them in a list under the "Choose a Network…" heading. After successfully joining a network, a checkmark appears next to that network's list entry. Android phones and tablets feature a Wireless & Network settings screen that controls Wi-Fi, Bluetooth, and cell settings. Third-party Android apps for managing these networks are also available from multiple sources. Wireless network printers can be configured to join home and office networks similar to other devices. Most wireless printers feature a small LCD screen that displays menus for selecting Wi-Fi connection options and a few buttons for entering network passphrases. Televisions capable of joining wireless networks are becoming increasingly common. Some require plugging a wireless USB network adapter into the TV, while others have integrated Wi-Fi communication chips. On-screen menus then allow setting up a local Wi-Fi network configuration. 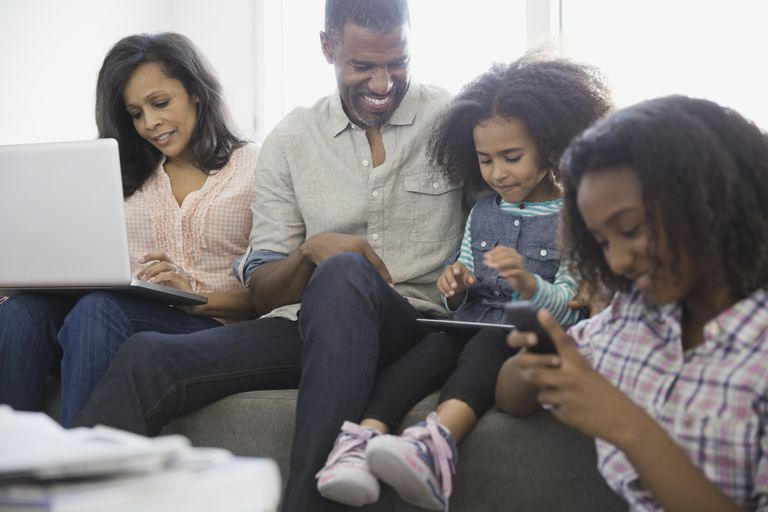 Instead of connecting TVs to a home network directly, homeowners can alternatively configure bridge devices, such as DVRs, that join the network via Wi-Fi and transmit video to the TV via cable. Game consoles like Microsoft Xbox 360 and Sony PlayStation feature their own on-screen menu systems for configuring and joining Wi-Fi wireless networks. Newer versions of these consoles have built-in Wi-Fi, while older versions require setting up an external wireless network adapter plugged into a USB port or Ethernet port. Wireless home automation and wireless home audio systems typically create proprietary wireless local networks within the home network. These setups utilize a gateway device that connects to the home network router via cable and joins all of its clients to the network via proprietary network protocols.